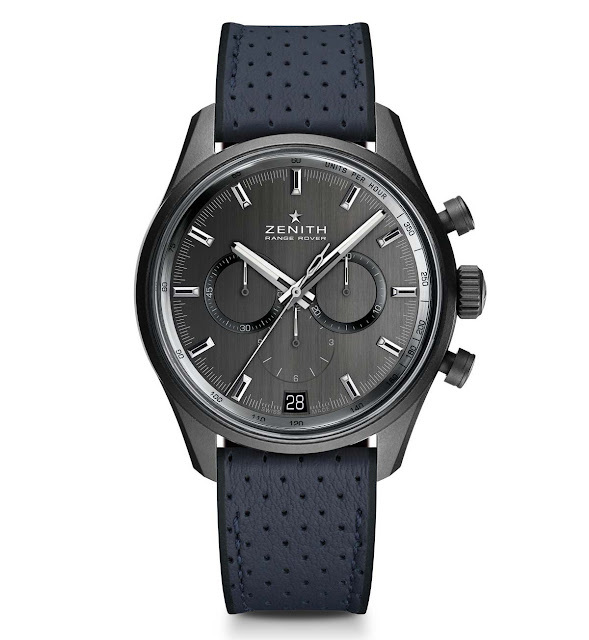 In 1969, Zenith unveiled its legendary El Primero chronograph. That same year, British car manufacturer Land Rover introduces the prototype of the very first luxury off-road vehicle: the iconic Range Rover, which hit the markets in 1970. Zenith and Range Rover are both pioneers in their respective industries, both designing timeless products targeted to the luxury market. The two brands have now started a partnership inaugurated by the El Primero Range Rover Special Edition. In tribute to the first luxury SUV, its brushed grey dial bears the inscription "Zenith Range Rover". The hands and hour-markers are rhodiumed and luminescent. 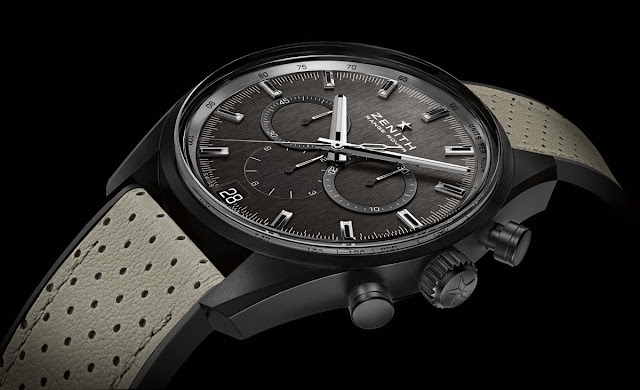 The renowned high-frequency "engine" is housed in the aluminium "bodywork" – a nod to the Range Rover chassis – of its 42 mm x 12.75 mm matt black ceramised case. 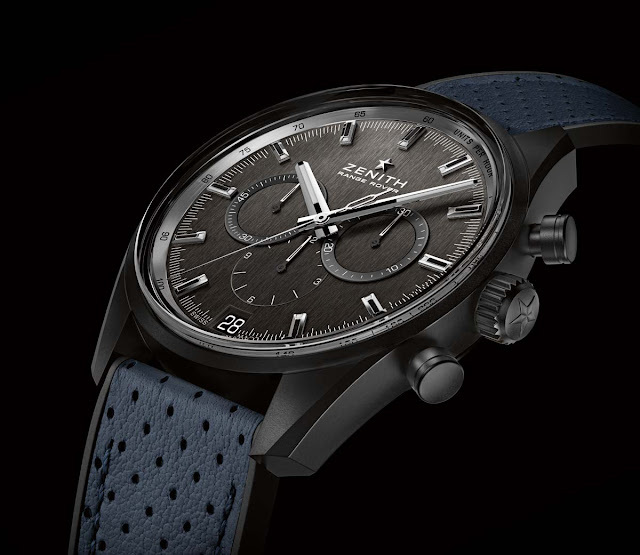 Water-resistant to 100 metres and topped by a cambered sapphire crystal, it is equipped with a ratcheted crown and black round pushers. 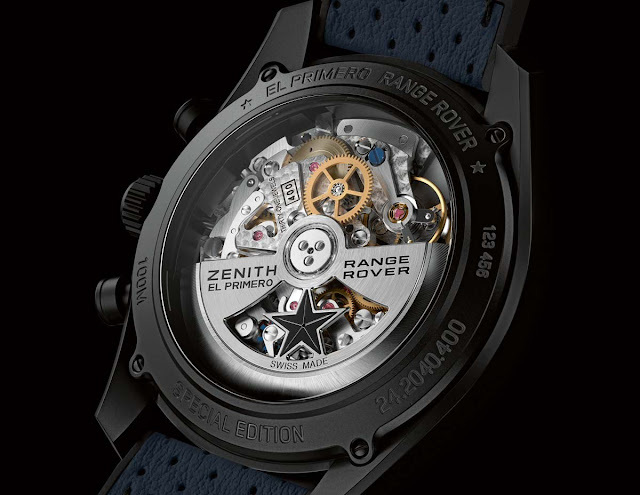 The sapphire caseback bearing the "El Primero Range Rover / Special Edition" engraving reveals an oscillating weight personalised with the Zenith and Range Rover logos. 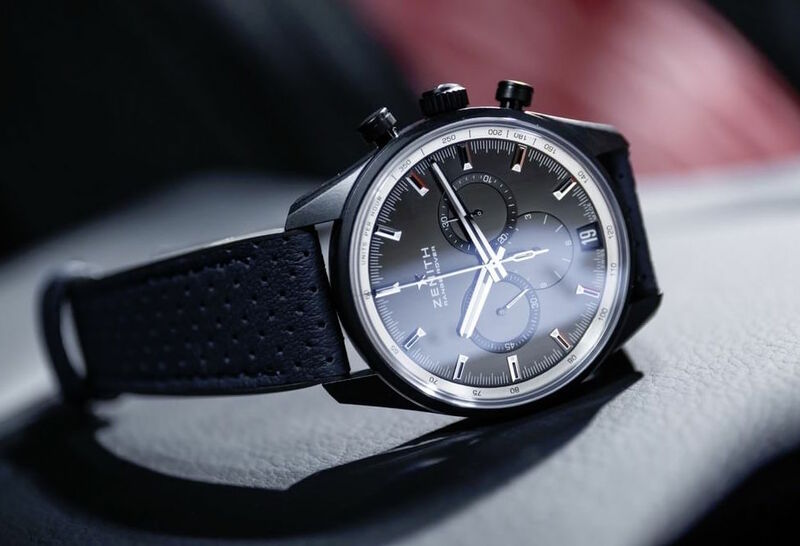 At the heart of this special Range Rover edition is the automatic El Primero 400B column-wheel movement beating at a frequency of 5 Hz (36,000 vph) which enables a tenth-of-a-second display. Zenith El Primero Range Rover Special Edition. Zenith and Range Rover have started a partnership inaugurated by an El Primero Range Rover Special Edition. 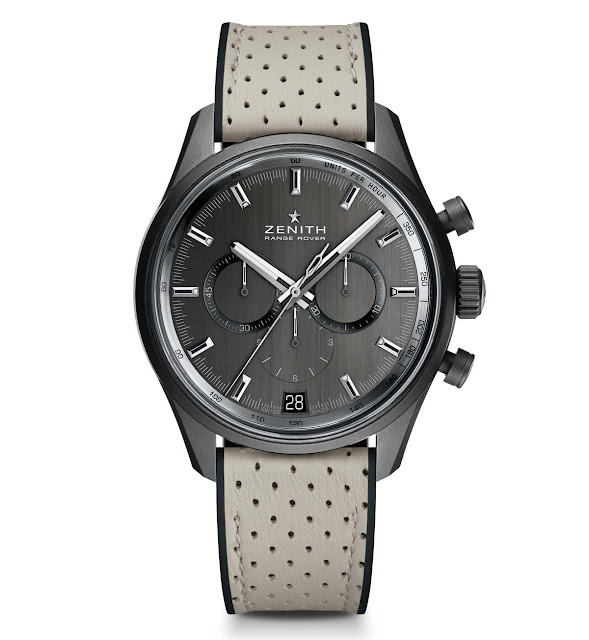 The Zenith El Primero Range Rover Special Edition is completed by a rubber strap coated with ivory-toned perforated calfskin (ref. 24.2040.400/27.R797) or blue perforated calfskin (ref. 24.2040.400/27.R796). The price is Euro 7,900 / US$ 7,700.